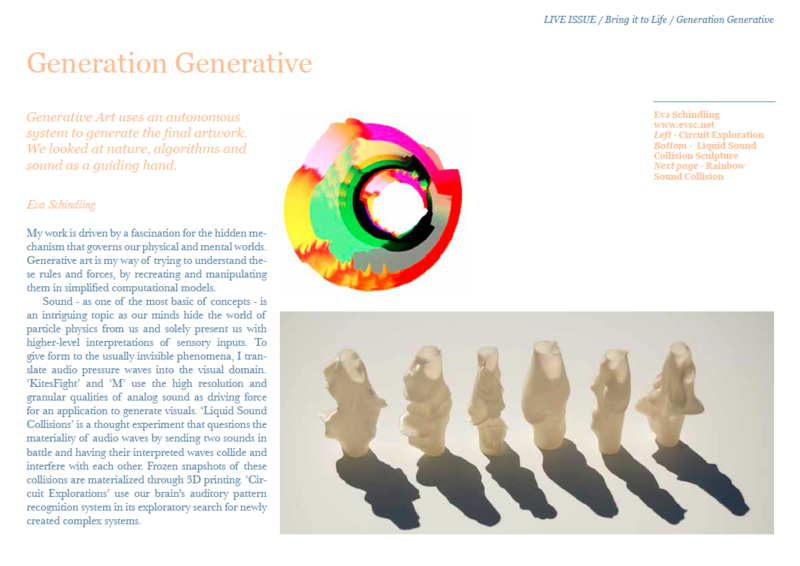 I was invited to contribute to the Live Issue of .Cent Magazine, for their feature on generative art. The other featured artists are Tim Knowles – known for his tree drawing series – and Michael Hansmeyer – known for computational architecture (TED Talk: Building unimaginable shapes). 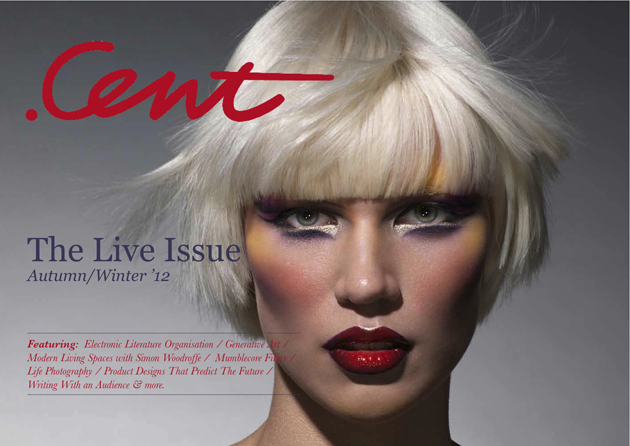 .Cent Magazine is a free private members club and all you need to do to join is signup here. My work is driven by a fascination for the hidden mechanism that govern our physical and mental worlds. Generative art is my way of trying to understand these rules and forces, by recreating and manipulating them in simplified computational models. Sound – as one of the most basic of concepts – is an intriguing topic as our minds hide the world of particle physics from us and solely present us with higher-level interpretations of sensory inputs. To give form to the usually invisible phenomena, i translate audio pressure waves into the visual domain. ‘KitesFight’ and ‘M’ use the high resolution and granular qualities of analog sound as driving force for otherwise closed computational systems to generate visuals. ‘Liquid Sound Collisions’ is a thought experiment that questions the materiality of audio waves by sending two sounds in battle and having their interpreted waves collide and interfere with each other. A frozen snapshot of that collision – materialized through 3D printing – further hints at the paradox of the nonexistence of sound when the world is on pause. ‘Circuit Explorations’ uses our brains auditory pattern recognition system in it’s exploratory search for newly created complex systems. Posted in Blog and tagged 2012, feature, generative, magazine.